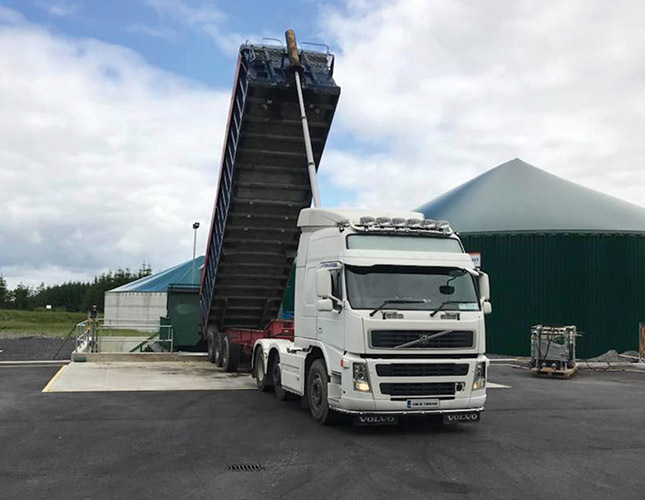 Specialising in transporting and spreading of slurry and sludges, Evergreen Fields of Dunmore, Co Galway was shortlisted at the 2018 Fleet Transport Awards. Speaking to Irish Trucker & Light Commercials, Stephen Smyth gave an insight in to the day-to-day operations of the family business and revealed that further growth is anticipated in the future. Waste management specialists Evergreen Fields (trading as Smyth’s Transport) was one of six nominees in the Own Account Transport Operator of the Year classification at The Fleet Transport Awards. The Fleet Transport Awards have become a must-attend event for everyone and anyone working in the haulage and transport sectors. The best in the industry are honoured for their endeavours, while availing of an unequalled opportunity to network and liaise with colleagues and meet with the players and buyers of Ireland’s top companies. BWG Foods (Dublin) walked away with the Own Account Transport Operator award on the night but the nomination alone represented a major achievement for Evergreen Fields – a company that just resumed trading four years ago. Companies that were eligible to enter had to operate their own fleet of vehicles to distribute their own goods. Entrants needed to show the active measures they have taken to improve service levels and to grow the company, in both size and profitability. Judges focussed on investments or improvements made to increase efficiency of the distribution sector of the respective business/production facility. Evergreen Fields was established by Stephen’s father Martin back in 1993. Four years down the line and it has proven to be an inspired move by Stephen. Evergreen Fields currently has 11 employees on its weekly payroll including his mother Bridie who takes care of the accounts. “We’re very busy at the moment, the busiest we’ve been in 20 years in fact,” he revealed. “Mostly biosolids. We draw treatment sludge out of Council facilities to distribute for fertiliser, anaerobic digestion and composting. There are no secrets surrounding the upturn in fortunes experienced by Evergreen Fields Ltd since the turn of the decade. There is no sign of the well running dry workwise any time soon and Stephen is excited about what the future holds in store for the ever burgeoning company. “At this point in time, approximately 80% of our work is tied into contracts that brings us up to 2021/22 with the option of two year extensions. We have a lot of private work on top of that. The future looks bright but you never know what’s around the corner in this industry. That said you’d have to be positive about the future,” he concluded.